Hindustan Aeronautics Limited recorded a turnover of over 19,400 crores (provisional and unaudited) for the financial year ended on March 31, 2019 (corresponding figure for the previous year was 18,284 crores). The Company has posted a revenue growth in excess of 6% during 2018-19 as compared to 3.8% during 2017-18. The performance of the Company in 2018-19 has encouraged us to focus more on design and development of indigenous products and technologies, develop aerospace and defence manufacturing eco-system and to be more dedicated towards meeting the current and future requirements of customers, says Shri R. Madhavan, CMD-HAL. This strategy will also help HAL to be on the growth track in meeting the expectations of the shareholders, he adds. The HAL expects continued "Excellent" MoU rating for the FY 2018-19 from Government of India for meeting all the relevant parameters related to its performance. In the FY 2018-19, HAL has produced 41 new aircraft / helicopters and 98 new engines and has carried out overhaul of 213 aircraft / helicopters and 540 engines. HAL's R&D projects are on track and are tailor made for the requirement of the armed forces. 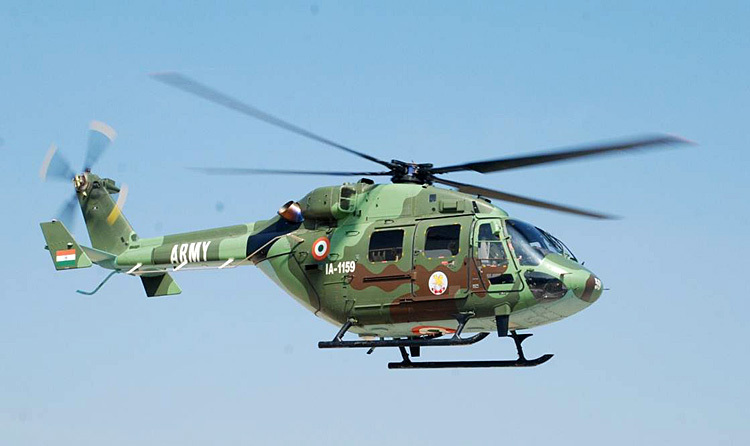 HAL has produced 12 new ALHs against the contract of 40, out of which six were produced ahead of schedule for the Indian Army.